A delightful and true story of growing up with a sister with Asperger's Syndrome, The Crystal Puzzle chronicles powerful family experiences from the realization that there was something different about her sister through the hopes and joys and challenges of school to the eventual independence that comes with growing apart as one sister moves on and out of the home. Blogger Ashley Nance offers an accurate, humorous, touching, and poignant glimpse into the lives of those affected by Asperger’s and learning disabilities. 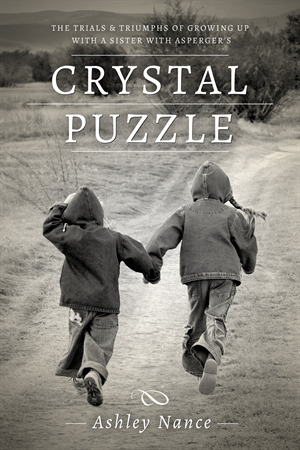 Crystal Puzzle also includes a helpful resource section for families interested in additional information to help them cope and succeed given the challenges that come with Asperger’s and other learning disabilities. Check out Ashley Nance's profile!